In today’s hypercompetitive marketplace, the need for and impact of brand consistency has never been greater. It is a key factor in achieving and sustaining differentiation from other financial practices and improving engagement with existing and prospective clients. Brand consistency will help drive the value of your practice and can give you a competitive advantage in your space. We empower you to customize almost everything in an effort to build your brand and enhance the client experience. We help you personalize and tailor our tools and resources to align with your DBA. Your DBA-tailored experience can help you solidify current client relationships and improve your rate of brand discovery for prospective clients. 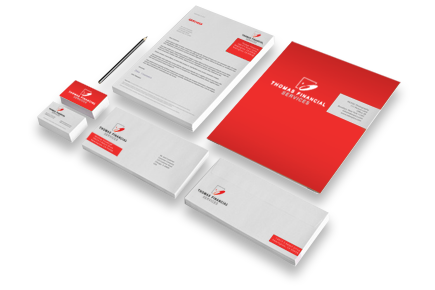 Increase the impact of your professional correspondence with our fully-loaded suite of stationery templates that you can customize to align with your brand. 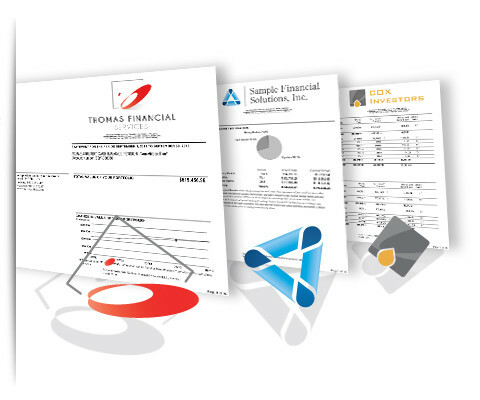 Full color designs for letterhead, business cards, and envelopes will help you move the name of your DBA to the forefront of all client-facing communications. Most broker-dealers or RIAs want their name and logo in the most prominent position of client statements. But we understand that your clients have placed their trust in you. 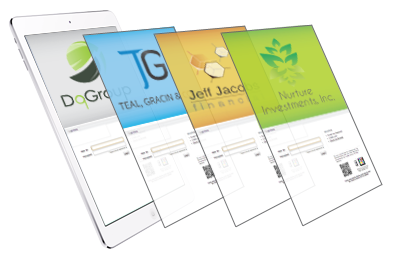 So we give you the freedom to place your name and logo on all brokerage and advisory statements, keeping your brand where it should be — front and center. We understand that no two clients are alike and their desire for different information is just as unique — some want more, some want less. Our powerful Blue Diamond Plus™ technology empowers you to customize the content and types of performance reports they automatically receive. So you can give your clients as much as they want or as little as you choose. We can build an online account portal specifically for your clients and around the look and feel of your DBA. This custom-built online portal improves your client experience and fully-immerses them in your brand each time they log in. Not only will you look smarter and more professional, you’ll increase retention and strengthen client relationships. Your inbox isn’t just about messages. It’s also about conveying a professional image for your practice. We want to help promote your brand at every level, even down to the email address you use for SCF business. 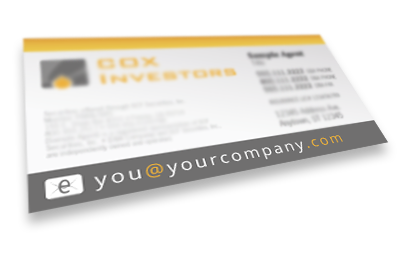 So rather than using the standard SCF email address, we’ll set up your SCF email address to reflect whatever domain you choose… so an address that looks something like you@yourcompany.com is no problem at all. If you’re starting your own DBA and need a new logo — or already have a DBA and simply need a new look — we offer the perfect solution. As an SCF advisor, you can choose from our library of high quality logo designs. Our logos are professionally-designed by our in-house graphic design team and are completely customizable to align with your DBA and personal tastes.